Jesse Owens is both a historical and sports figure, and you no doubt learned about what made him famous in grade school. He achieved greatness by winning four gold medals at the 1936 Berlin Olympic Games and setting world records the last of which was not broken until 25 years later. You know the basics, but his new biopic, Race, fills in the gaps. 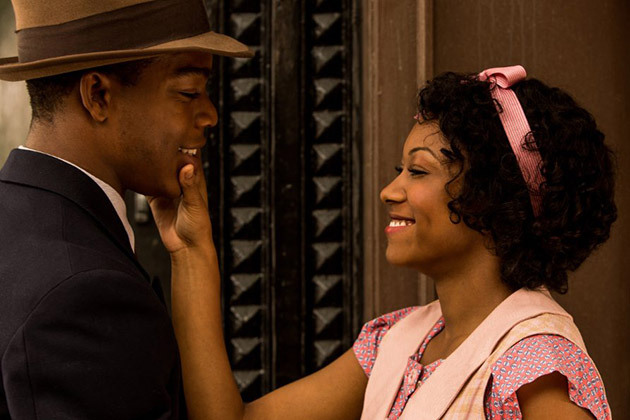 Race focuses on the on the years of 1933-1936 in Jesse Owens’ (Stephan James) life. He is 19 in 1933 and it follows him through his time at Ohio State University where he caught the eye of track and field coach Larry Snyder (Jason Sudeikis). Leaving his family, a fiance, Ruth Soloman (Shanice Banton), and a small child behind, he struggles to meet the expectations of Coach Snyder, balancing studies, and carrying a job so he can send money back to his family. It is only at the 1935 Ann Arbor trials where he breaks four records in 45 minutes that his celebrity skyrockets. While Race is about Jesse Owens, it also has a parallel story of whether the American Olympic committee should send athletes to Berlin to compete in the Games. This is at the time of Nazi regime’s rising in Germany and Adolf Hitler is a prominent figure. This is amid rumors (or possibly facts) that the Nazis have started rounding up people of those deemed an inferior race. Committee member Avery Brundage (Jeremy Irons) is sent to assess the situation and meet with heads of state including scary Joseph Goebbels (Barnaby Metschurat). Along for the ride is filmmaker Leni Riefenstahl (Carice van Houten) who is tasked with filming the Games with a positive Nazi view. Being called Race, it has a three-fold meaning: 1) Running a race, 2) The color of skin, and 3) Religious race. It is mindful of its meanings while telling the story, keeping in mind that it is mostly about Jesse Owens, but also the circumstances of the times and the political agendas. This film impressed me in two ways. One, that Jason Sudeikis can carry a role that is not a comedic one, or just stupid. He filled the role of regretful, depressed Coach Synder who saw in Jesse greatness despite his skin color. Of course Sudeikis threw some comedy in his role, but he pulled the role off. Second, Stephan James, last seen in Selma, assures everyone in Hollywood that he has the acting chops to carry a film about an important man. He gives the role the dignity it deserves and does it quite thoughtfully. The only thing I have to complain about is the CGI of the Olympic stadium in Berlin. When Jesse Owens steps into the light of the stadium, the massive crowd is so pixilated and blurry, it detracts from what a sight it is to Jesse. It is not a short scene and is meant to impress you on the size of the crowd and the large stadium. Eventually, the film focuses in on a smaller crowd in the Jesse’s background which looks realistic and is probably extras. It then goes back to a wider shot with problems again as the crowd salutes Adolf Hitler. It is things like this that a film should invest a bit more time and money into, especially when an audience is seeing it on a big screen. 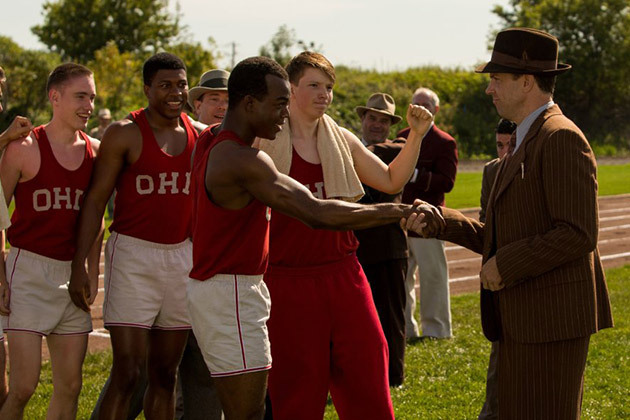 Race is a worthy biopic that elaborates on the common knowledge of Jesse Owens and the historical moments surrounding him. It still shows Owens has faults, thus it becomes a more realistic film, not one just focuses on the positive, gleaming moments. It also does not shy away from the controversy at the time and the shady elements of the Berlin Olympic Games. I personally walked away from the film knowing more about Jesse Owens and appreciating the struggle of Owens and others in this time period. It is a film that I would not hesitate to take a younger child to as it demonstrates how far we have come since the 1930s, even though we still have work to do.